The Harkov Lewis Team at Halstead Real Estate is one of the top-producing and most well respected teams at the firm, in the industry, and in the nation. 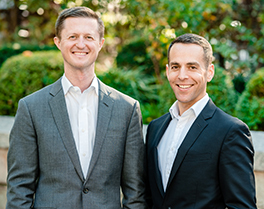 Led by power brokers Ari Harkov and Warner Lewis, the team is consistently ranked in the top 250 Teams in the US by the Wall Street Journal and REAL Trends. Representing developers, individual buyers and sellers, major landlords and property owners, and tenants in the sale and lease of properties throughout NYC, the team’s extensive experience, skill set, structured and business-minded approach, discretion, and market knowledge all come together to deliver exceptional service and results that consistently exceed client expectations. The team is made up of a cohesive group of dedicated and highly trained sales, marketing, and administrative professionals driven by a set of core values and focused on delivering premier results built upon honesty and integrity. Working with a wide array of clientele from first-time homebuyers to professional athletes, celebrities, business executives, and seasoned investors on the sale and purchase of coops, condos, and townhouses throughout Manhattan and Brooklyn, the team has solidified their position amongst the preeminent residential real estate experts in the city. In the new development arena, the Harkov Lewis Team brings a unique, hands on boutique approach that distinguishes them in the industry and has led to considerable success . The team is currently the exclusive sales and marketing team for an exciting collection of developments in Manhattan and Brooklyn . Working with developers throughout the entire development process from pre-development to sellout, Ari, Warner, and the team advise on target buyer profiles, optimal unit mix, fit and finish recommendations, unit layouts, on-site staffing requirements, pricing strategy, as well as creative marketing and branding campaigns. Ari has developed a strong and envious reputation in the real estate industry. As a result of his hard work and dedication at Halstead Property, Ari became one of the fastest rising agents ever seen at the company. Crain’s New York Business named him as one of the top five residential brokers to watch under the age of 30 in New York City and he is an expert contributor for the Daily News with his own column. A member of the well-respected Producer’s Council, Sapphire Club, and Gold and Silver Circles at Halstead Property, Ari offers his clients a rare degree of negotiation skills, market knowledge, customer service, and sophisticated pricing and valuation expertise. Ari holds an MBA with honors from Columbia University, a BA with honors from Vassar College, is a part-owner in a bar/restaurant in Brooklyn, and is a proud resident of Park Slope. Warner Lewis has received numerous awards and recognition for his achievements throughout his career in real estate and has become a fixture at Halstead Property. As a regular member of the prestigious Producer’s Council (top 5% of the firm), Sapphire Club, and Gold and Silver Circles at Halstead, Warner offers his clients a rare degree of personal attention and customer service that is unsurpassed. A native of New York City, Warner is intimately familiar with the intricacies of the Manhattan and Brooklyn real estate landscape and brings extensive expertise and market knowledge to his clientele. His business is based almost exclusively on referrals. Buyer Specialist Marc Schaeffer values customer service above all else. Negotiation skills, market savvy and expertise, and access to top tier technology and the best partners in the business are all essential, but ensuring his clients' happiness is number one for Marc. Marc has 10 years of sales experience and 6 years as a licensed real estate agent working with clients ranging from first time buyers to high net worth individuals. Jack might wear a tie, but he’s definitely not a suit. Known for his creative approach to positioning new listings, finding property, and closing deals, Jack's warm and diplomatic style drives his approach. With a great track record at Halstead Real Estate, he treats every deal as unique, and always strives to over-deliver for his clients. Kerrie Lynch has called New York City home since moving here from the Midwest after college. Starting her career in fashion, she learned how to produce effectively in a fast paced, high pressure environment working with offices in New York and Hong Kong. She then transferred those skills to a successful career in television production, consistently helping clients make their creative vision a reality, delivering projects on time and on budget. With a great deal of tenacity and communication skills, Louie offers the highest level of customer service to his clients. His youthful energy and technological savvy combined with his integrity and creativity help him to create long-lasting relationships. Louie holds a BFA with honors from the University at Buffalo. Before he began his career in real estate, Louie had a successful career touring with multiple Broadway productions across 49 of the 50 United States and 11 countries, including performing for the Royal Family of Luxembourg. With a background in Property Management, Interior Design (High-End Residential and Private Jet) and Finance, Ashley Clark has extensive experience working with high-net worth individuals and previously managed a 1,000+ luxury rental unit portfolio in New York City. She specializes in working with buyers and also oversees the Harkov Lewis Team’s exclusive rental portfolio. Her love for real estate stems from her childhood, and now having been in the industry since 2009, she uses her exceptional customer service skills, attention to detail, and passion for building and maintaining long-lasting relationships to get the job done for her clients. As an experienced Listing Partner and Buyer Specialist, Annie Yanovsky understands that lifestyle is two words: life and style. A New Yorker since the 1980s, Annie’s background in event planning, floral design, travel and parenting along with her intimate knowledge of the benefits of each of New York City's neighborhoods helps her to understand her clients needs and, in turn, deliver the results they deserve. A native-born Brazilian, fluent in Portuguese, English, Spanish and Italian, Ana has a global outlook on Real Estate. Coming from a large Italian family who migrated to the coffee and ranching countryside of Sao Paulo State in the early 1900’s, to the urban metropolis of New York City certainly puts things in to perspective. Ana started her career in New York in public relations with the Global Consulting Group, working to promote companies such as Oi Brazil, NYSE and Banco Itau, who she later worked for directly under the President. Now a 20-year local, mom, and avid designer, Ana has selected and designed several homes in New York. Giving her a unique understanding that unrealized value of a space that can be made right by simple changes or identifying special differences in a location, have proven to be her calling card. After a career as a top producing real estate agent in Boston, Whitney has called New York City home for a decade. With a wide array of work experience in real estate, fashion, event production, and acting, she has cultivated an extensive network and a creative edge in marketing. She loves building relationships with her clients and helping them find their piece of the city to call home. Whitney holds a BFA from the Boston Conservatory. She lives on the Upper West Side with her husband and their labradoodle, Jackson. She is an avid runner, reader and vegetarian. As a New Yorker, born and raised, Tedy has an extensive knowledge of New York City. With a cross cultural background in business development and luxury retail combined with his integrity, loyalty and professionalism he has cultivated long lasting relationships. Tedy’s acute attention to detail and proven ability to find and articulate solutions benefits his client on all levels, whether buying, selling or renting. Tedy holds a BS with honors from Roger Williams University. In his free time Tedy enjoys playing golf, traveling internationally with his family and is an avid watch collector who collects, buys and sells. Kimberly Gacem is the Director of Operations for the Harkov Lewis Team. A seasoned project coordinator, manager, and creative consultant with over 15 years of experience in a variety of fields including branding, leadership training, restaurant management, and banking, Kim manages the team’s support staff and oversees the team’s operations. Kim holds a degree from DePaul University and brings a unique blend of client-focused detail, organization, and creative solutions to the Harkov Lewis Team’s clients. As the Marketing and Administrative Coordinator for the Harkov Lewis Team, Emily brings years of customer service and business management experience to the team. Emily handles condo and coop board packages and agent support for the team in addition to heading up all marketing. Her customer service background, organizational skills, and passion for quality result in exceptional experiences for the team’s clients. Emily holds a BBA from the University of Cincinnati and an MBA from Xavier University.